New Buffet and Much More! We’re proud to tell you that 2016 has been a year filled with achievements and news here at Sandos Playacar Beach Resort. We started the year by kicking off our All Playa Experience, an activities program that features beach parties every day of the week inspired by famous world beaches. During the rest of the year, we’ve tasked ourselves with modernizing and renovating our culinary options in order to indulge our guests with even more impressive restaurants at our Playa del Carmen beach resort. Our newest update is the renovation of our main restaurant. Just a few weeks ago, we opened the doors to our new a la carte Italian restaurant: Il Piemonte. Open for dinner, this stunning space boasts a menu filled with pastas, pizzas and desserts, as well as a variety of mouthwatering traditional recipes from beautiful Italy. Its elegant design makes this restaurant the ideal place for a romantic evening at Sandos Playacar. Ever since it opened several months ago, the new Mexican grill restaurant at Sandos Playacar has become a favorite hangout for delicious and quick food. 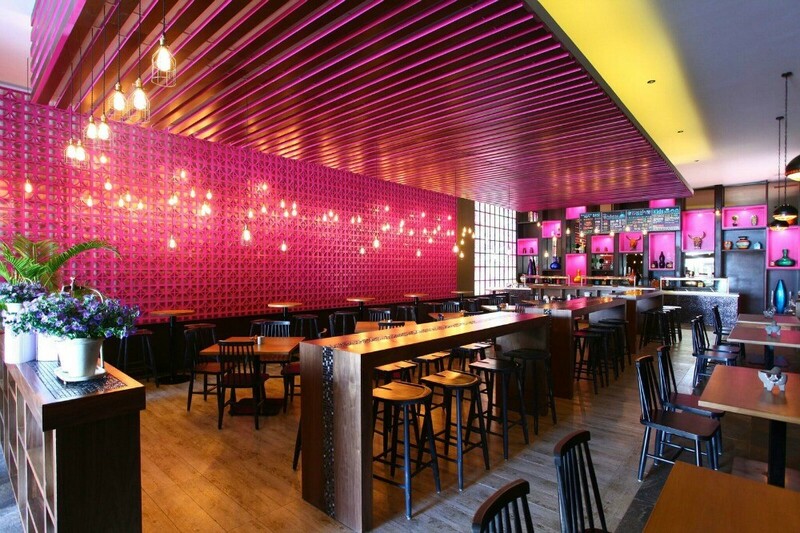 Here we serve tacos, burritos and salads, all made-to-order so you can have exactly the ingredients that you want. 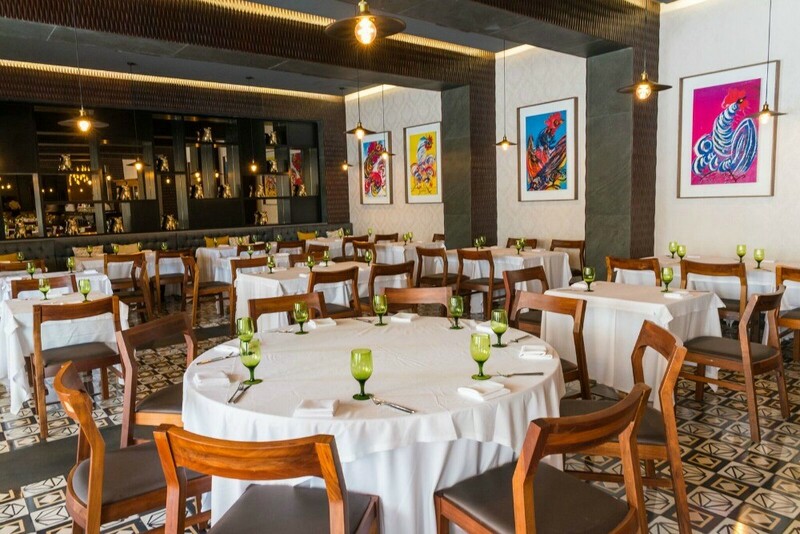 If you’re planning a visit to Sandos Playacar, we recommend a dinner at our new a la carte restaurant Gourmex, which we opened at the end of 2015. 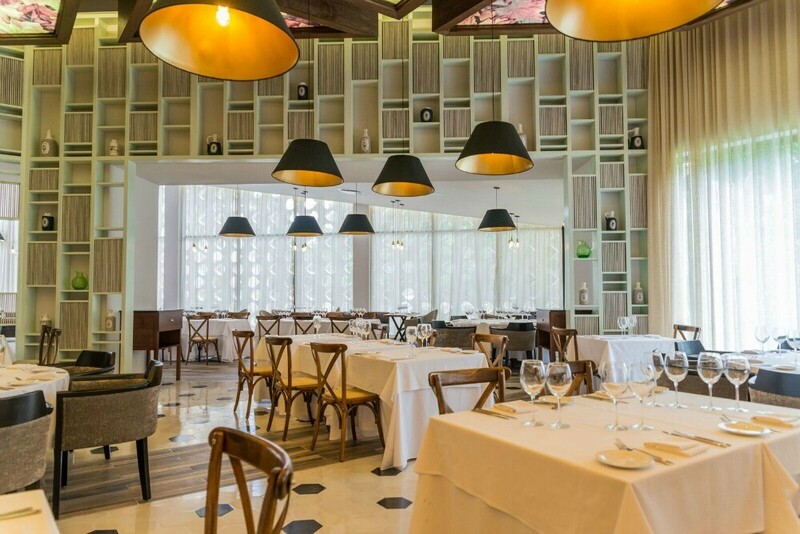 Here, you’ll find a menu of haute cuisine inspired by traditional Mexican recipes, as well as a contemporary ambiance for a memorable dining experience in Playa del Carmen. We hope to host you at our Playa del Carmen All Inclusive resort very soon to show off all the new restaurants. In addition to the new spaces mentioned here, Sandos Playacar Beach Resort also has the famous Cupcake Cafe, casual dining on the beach at Blue Moon, a rodizio-style restaurant with Brazilian steaks, and much more. Remember that this is all part of your All Inclusive plan, so you won’t have to worry about the check during your Riviera Maya vacation. And… reservations aren’t required! We only ask that you make a reservation for Fogo de Janeiro rodizio restaurant because the style of service requires it, but at all of our other restaurants, you can just show up and wait to be seated. 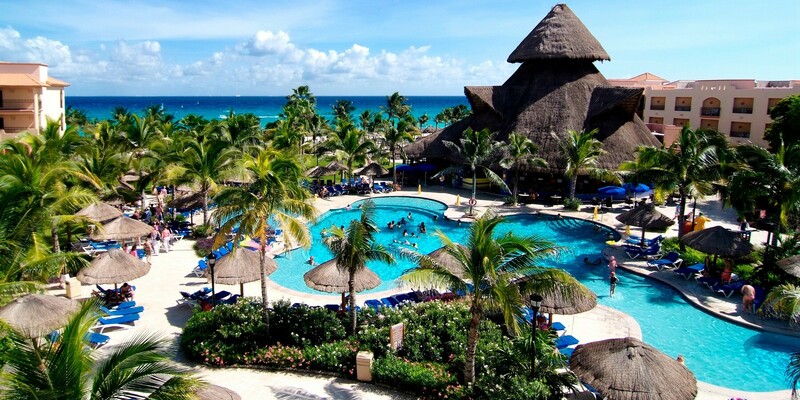 If you haven’t visited our Riviera Maya beach resort in the past year… come and see us! You’ll be blown away by all the new amenities we have designed for you. ← New Sandos Resort in Ibiza! This place was already fantastic! Can’t wait to to stop by again. Love it. Have you posted the new menus? We are anxiously awaiting our arrival, to your resort, on January 15, 2017. I’ve read that the new buffet restaurant is scheduled to open by the first of the year. Is that still your projected date of completion? Hi Hansen, as of right now the opening date of the new buffet is set for December 23, 2016. See you in a few weeks! Our family arrives for 12 days in just over a month! We can’t wait. We are excited to hear about all the reno’s. Is there still a buffet restaurant available while this one is being completed? Hi Heather! Not to worry, we have arranged several other options, including buffet, during this time. See you in a few weeks! We will be visiting your beautiful resort again on November 5, 2016. Will the renovation be complete on the Festvvale Buffet at that time? The renovation will not be complete until the end of December, but don’t worry! Sandos Playacar has many other restaurants to try. See you in a few weeks! !hola we will be arriving Oct 21, 2016 for 4 th visit bringing two other couples (6 adults total). Does Sandos Playacar provide transportation to hotel from airport and also since we will be ‘gold’ bracelets ( superior, premium or whatever) is there quicker check-in or concierge service? Hola Sharon! Although we do not have a private shuttle service, we do recommend a company called Seek&Go that has its tour agents inside of our hotel. If you wish, you can contact [email protected] for more information. The gold bracelets indicate that you will be staying in the Select Club Adults Only section! In that case, yes you do have private check-in service. For additional concierge service, you’ll find it in the two Premium Lounges exclusively for Select Club guests. This is our favorite resort of all resorts we have stayed in. We are well traveled all over the world and we find ourselves going back to the Sandos Playacar over and over many years in a row now. Last time staying in the private Haciendas. Simply wonderful. We would rightly recommend this resort to everyone. I’m anxious to see the changes since this last April! See y’all soon ! hola hermoso su hotel y los felicito por la renovacion de las restaurantes que era necesaria. Tendrian las tarifas para marzo 2017? Muy buenas tardes Adriana y gracias por su lindo comentario! Paso su solicitud a nuestro departamento de reservas para que se pongan en contacto por correo electrónico. ¡Saludos! Ademas de la deliciosa comida y calida atencion del equipo….!!! Execelente decoracion con el Mosaico Artesanal de Pasta en muchos de los espacios. Hola, nosotros solemos gozar de estadías en el Sandos Playacar hasta dos veces por año y desde que la recepción se encontraba en la grán palapa; de esto hace años. Felicitaciones por la decisión de renovar el Restaurante Buffet, Ya buena falta le hacía. Ahora tengo curiosidad por saber donde y que comeremos durante nuestra próxima visita a mediados de Noviembre 2016… o estaremos en medio de las bolsas de cemento y operarios colocando techos y equipos de aire ??? ¡Hola Gustavo! 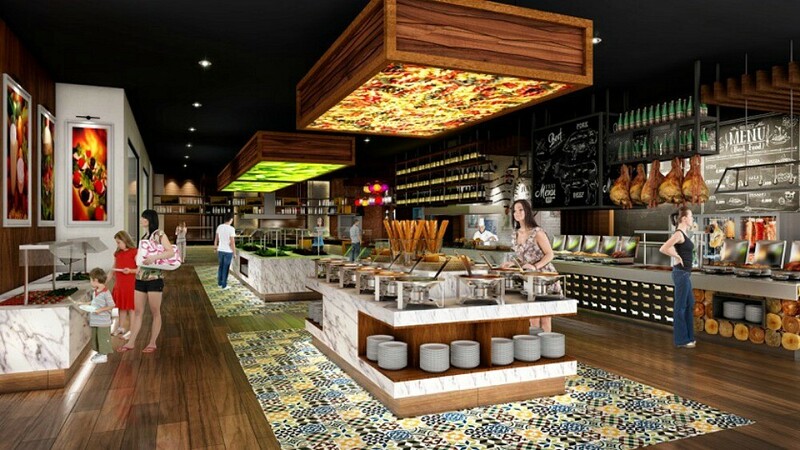 Durante la remodelación de Festival, estaremos ofreciendo una variedad de opciones para desayuno, comida y cena en varias partes del resort, incluyendo parrilladas en el área de alberca, buffets en nuestros otros restaurantes, etc. ; no se preocupe, todavía habrá muchas opciones cómodas y bonitas durante su estancia. ¡Nos vemos en noviembre! Estimadísimos, me refieren mis vecinos, a quienes recomendé el hotel que las filas para desayunar, almorzar y cenar en el único restaurante bufette son para gente con mucha paciencia. Han debido esperar más de media hora por una mesa y se encontraron también con poca variedad de los mismos en comparación con lo que un o está acostumbrado. Lamento que mi reserva no contemple cancelación para poder usarla en otra fecha donde ya todo funciones. Somos frecuentes en ese hotel, hasta 2 veces por año, nadie nos dijo que pasaba esto cuando hicimos la reserva. Creo que es una buena justificación para que me den un voucher por la misma cantidad de días y poder utilizarlo en otra oportunidad. Eso no se hace con pasajeros tan fieles al hotel. Espero lo reconsideren. Saludos afectuosos. Hola Gustavo, estamos investigando la situación y mientras tanto estoy enviando sus comentarios al departamento de Concierge. Estarán en contacto contigo a tu correo electrónico. ¡Saludos y gracias! We were there in june and are planning to be back next june. If not sooner. Come back sooner!!! Glad you enjoyed your stay. I’d like to know about the once fabulous French restaurant..it was not there this year.had been in the corner where the new Mexican restaurant was rebuilt..
Hi Laurie! Yes, French restaurant Le Gourmet is still open, although it has been moved to a new location. While the Festival buffet is being renovated, Le Gourmet will be at our poolside Riviera Blue restaurant. Can’t wait to go back in January!!!!!!!! ¡Gracias Lucía! Esperamos recibirte aquí en tu casa en 2017 y podrás conocer tanto el italiano como el nuevo buffet (con todo y aire acondicionado). Saludos!